Here we have a very attractive and sporty ladies Tag Heuer Aqua Racer. We have been lucky to purchase this watch that was bought new in 2012 but never worn and are attractively priced compared to new. Perhaps you are looking to treat yourself, a daughter or your wife we have all the options here at EWC. The Aqua Racer is one of the most popular sports models and is very durable with it’s stainless steel case and bracelet. Powering the Aqua Racer is a quartz movement ensuring a high level of accuracy. 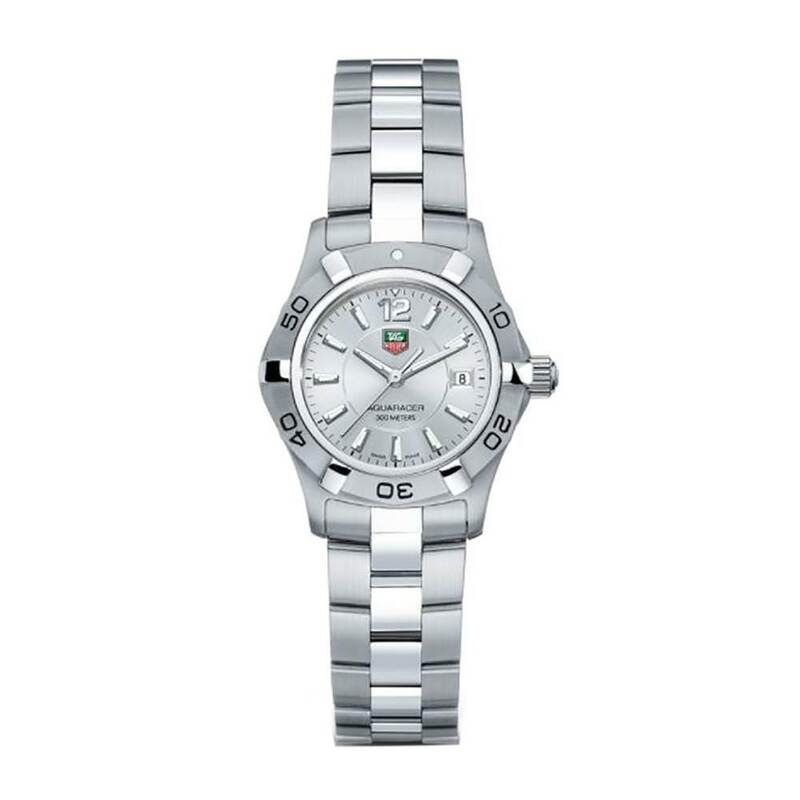 It comes complete with all of it’s original Tag Heuer boxes and warranty cards and our usual 12 month warranty.